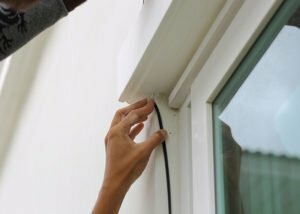 Three repairs you should call in a professional to fix. Home repair is an integral part of the upkeep of every house. Once you own a home there’s a long list of regular maintenance jobs to keep your house beautiful and secure from internal damage and external weathering. Unfortunately, if you’re inexperienced, even simple home repairs can seem intimidating. While there are a few DIY projects that you can easily do yourself, there are some you should avoid. Call in the professionals for these tasks. Altering or adjusting electrical and plumbing lines. If you are not well-versed in those skills and local building requirements, you could be entering into dangerous territory when attempting to repair the electrics or plumbing. Shoddy electrical work is a common cause of fire and poor plumbing could result in flooding and water damage. Two-story ladder or scaffolding work. Whether you’re cleaning the gutters out or replacing a few shingles from the roof, the risk of a fall is simply too great to justify saving a few bucks. Tree removal and trimming. Low-level branches that can be easily trimmed off of bushes or small trees is an acceptable DIY project. Removing large limbs or complete tree removal? Call in the pros. These large tasks require heavy machinery and can be extremely dangerous if attempting it by yourself.